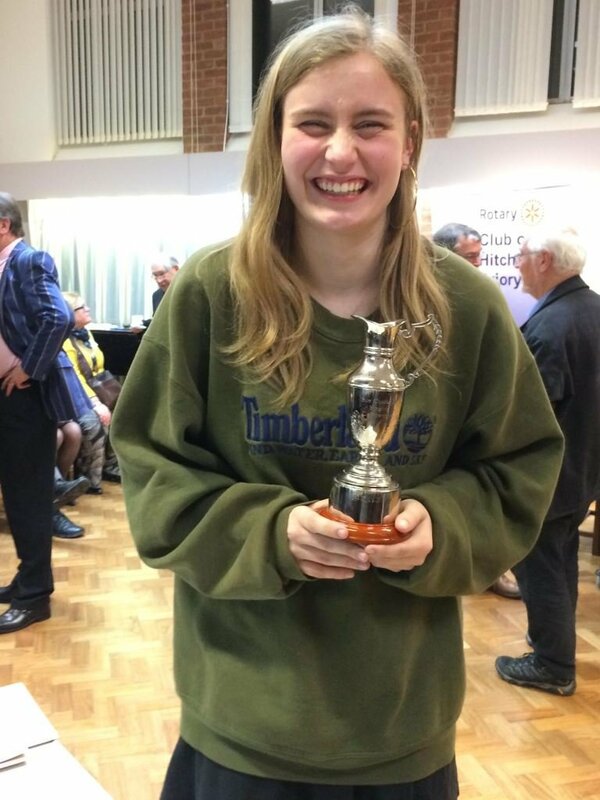 Congratulations to St Chris student Lizzie who gave an amazing performance and won the Sue Cracknell Singing Competition 2018 at the Hitchin Priory Rotary Club Music Awards on Tuesday 13 March. The competition is sponsored by Richard Cracknell of Hitchin Rotary Club to commemorate the work undertaken by his late wife, who was a well-known singer, teacher and performer in the Hitchin area. Lizzie sang three pieces including one from the School’s recent production of Sweeney Todd, and was accompanied by Head of Music Martin Goodchild on piano. The performance was alongside other Year 12 pupils, all from Hertfordshire Schools, each of whom was selected via an audition and interview process.